UPDATE: A source close to the basketball team has informed The Miami Hurricane newspaper that team captain Angel Rodriguez is out for the remainder of the season due to a broken wrist. Rodriguez originally sustained the injury taking a charge against Florida State, but remained in the game. He played in only three minutes of the subsequent game against North Carolina. Now, according to the source, he is out for the rest of the season. It is also doubtful whether leading scorer Sheldon McClellan will play in Wednesday night’s contest because of a groin injury. McClellan has been one of the best shooting guards in the nation this season, shooting a remarkable 51 percent from the field. This greatly perils Miami’s chances of making the NCAA tournament. McClellan and Rodriguez are the team’s two leading scorers, and the team has looked inept at times when both players were off the court. 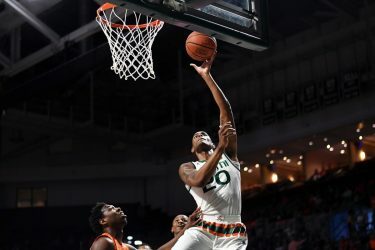 The burden now falls on ACC leading rebounder Tonye Jekiri and sophomore swingman Davon Reed to lead the Hurricanes against Pittsburgh Wednesday. 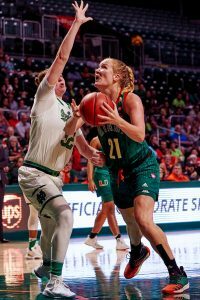 In a matchup that appears to be essentially a bubble-elimination game, the Miami Hurricanes travel north to play the Pittsburgh Panthers 8 p.m. Wednesday. Both Miami and Pitt are battling for one of the coveted final spots in this year’s NCAA tournament. After the Hurricanes’ loss to No. 15 North Carolina on Saturday, head coach Jim Larrañaga said Miami must win its next four games to have a chance to make the Big Dance. Miami’s RPI currently resides at 71, while Pitt’s is 49. ESPN’s Joe Lunardi does not have the Hurricanes among the “first four teams out” of the tournament, but as one of the “next four out.” It is essential Miami wins its final two conference games and makes a strong run in the ACC tournament to make it to March Madness. Larrañaga’s team makes an interesting case for an NCAA tournament bid, despite being firmly locked on the tournament bubble. “It’s all about winning, where you win, and who you beat,” Larrañaga said. Miami (18-11, 8-8 ACC) defeated No. 8 Florida in Gainesville, No. 24 Illinois at home and No. 4 Duke on the road. Miami also lost to No. 3 Virginia at home in double overtime. The Hurricanes finished a strong 10-3 in its nonconference schedule. Yet, like any team on the bubble, the Hurricanes also have some striking losses. 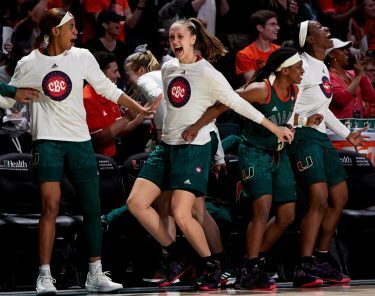 Miami lost to mid-majors Green Bay and Eastern Kentucky at home in its out-of-conference schedule, and lost to ACC doormats Georgia Tech and Wake Forest in league play. In short, Miami is a team that can play with the best in the country, but also a team that can lose focus and intensity against lesser competition. Thus, it sits on the outside looking in as tournament time approaches.